Y’all know by now that I’m a character driven, in-it-for-the-feelings reader. So as I sit here, trying to write my review for Parallel, although I could talk about the science of it, or how I fought the urge to hum the Doctor Who theme song when alternate universes were debated WITHOUT someone laughing at the characters for doing so… Instead, I want to remember what it was about Lauren Miller’s debut novel that made the biggest impression on me, and what it is about Parallel that I’ll cherish: the emotions it brought up within me. I wasn’t sold on Parallel until about 75 pages in; that’s my marker, by then I usually know if I’m going to continue a book or not, and it was around that point that things began to smooth out, the pacing to settle down, and the bigger picture to emerge. 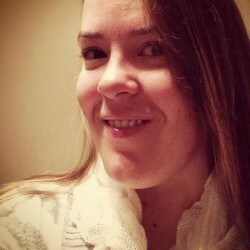 I started connecting emotionally with Abby, and becoming invested in the choices she and her parallel Abby were making. Reading Parallel on my back porch in the sunshine, I thought back to Pivot Point, another 2013 debut that revolves around how the choices we make affect us – another book I LOVED. I sympathized with Abby’s struggles, with her self-discoveries, and with her growth. Abby is a wonderful main character, who makes some good and some bad choices, and becomes a completely different person over the course of Parallel. Parallel is a mesh-mash of contemporary and science-fiction elements that blended together seamlessly. Do you have to suspend disbelief at a few points? Yes. Did that make me love this book any less? NO. As I said, once I hit that point where I was taken with the story I fell HARD for Abby, Caitlin, Tyler, Josh, Marissa, and other characters. One of my BIG requirements for a book I’ll love is if the author fleshes out their side characters, and *fist bump* to Lauren Miller for doing that. Tyler and Caitlin were AWESOME friends to Abby, and I loved how they each helped her realize different things about herself. Now, y’all know me – you know I’m a HUGE sucker for romance. Parallel is like Pivot Point in another way – there are two different love interests for each version of Abby, but I WOULDN’T call it a love triangle. Two different versions of Abby fall for two different guys, and at first I was leaning one way but quickly I realized who the better guy was – both as an individual and for Abby. And then I was ALL IN, and totally invested in this relationship. The waiting, the “will-they’s”, the swoons, and the tears…it was all AMAZING. It was heart-breaking and fascinating, watching things change personally and professionally for Abby with each choice, but the FEELS came in when Abby’s parallel’s choices started changing her love life. Lauren Miller, you can’t do that! You can’t give me such an amazing, perfect guy (*coughs*Josh*coughs) and then change things up! I mean you guys, at one point I started crying, and that’s when I knew, Parallel was going to be a favorite of mine. 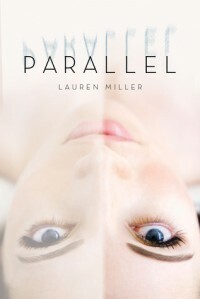 Final Thought: With a bitter-sweet, open, hopeful ending, and some intense moments, Parallel had me in tears, but also delivers some humorous moments, and ended up being a deeply emotional read for me. I swooned over the subtle, beautiful romance, and applauded the main character as she grew as a person. I recommend Parallel with all my heart.